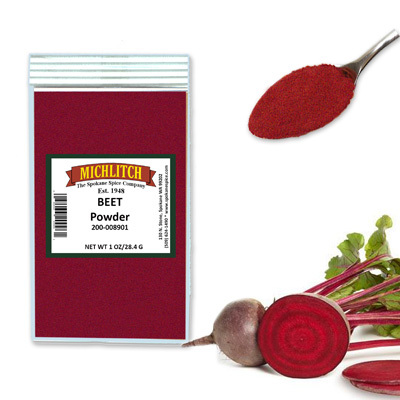 Red beet powder can be used in gravies, sauces, soups, or to provide color in any recipe. These beets are dehydrated and then ground into a powder. Retaining all the protective nutrients of ripe beets, this powder is naturally rich in vitamins, minerals, and nitrate, sometimes used as an alternative for curing meat. There are no additives.